Enter into my rest, says the LORD. 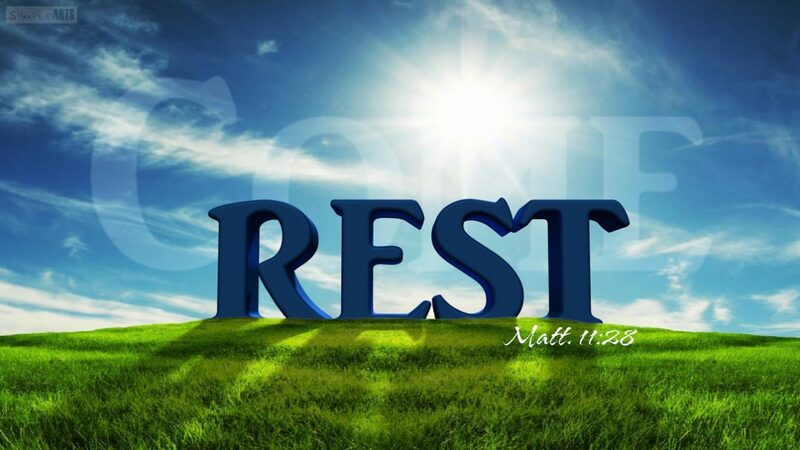 For I give you rest as you relax in My promises that are infallible, and undefeatable. I will make them happen all by Myself, and you need not try to do it. I Am the Sovereign, and you must entrust all to Me. For though others have failed you and disappointed you and turned their back on you, I never will, says the LORD. You can be assured that I will cause you to stand, unscathed and undefeatable, says the LORD. You will not be abandoned or abused by Me, and I have not refused you. It is My good pleasure to furnish you and fulfill you and complete you, as I give you My rest and peace, and reassure you with My infallible love and presence, says the LORD. Link not opening. Page not found. It’s asking us to accept “cookies” which I feel is not something you would have set up in your site. I thought I would warn you,June. I genuinely believe someone has hacked or is hacking you, as an attempt to stop God’s Message from coming forth (as things are backwards on this site at the moment and I have had a hard time opening pages to read the full message. I am praying for you. God is bigger!! Yes! I was just thinking the same. The website has not been hacked. The server has been migrated to a new and faster server. Facebook is having a problem with adjusting to the move. The cookies warning will come up on the first visit. Simply hit accept and you should never see it again. This is to comply with EU privacy laws. All major websites including Facebook must issue the same warnings or face fines. Please see https://www.cookielaw.org/the-cookie-law/. Thank you. Sorry, it’s the law of the land now. Here are other examples I found today of popular websites. Vh1, NBA. Either we comply or face potential legal issues in some countries. I need Your Love Presence and Glory LORD FOREVER!! !